Anthony Gill: Spare me the grief, Ozzie. You're hardly one to speak, given the fact that you used to give a virulently xenophobic, racist "The Threats We Face" presentation. You're no better than these people. Jorma Knowles: I appreciate that Knezovich grasps more of the context and gravity of this situation than most of his fellow local conservatives, but he could and should have done more to fight them. This is a serious issue for his political party: They have truly become a group that represents modern public racism and intolerance. I understand why he and Cathy McMorris Rodgers would want nothing to do with Cecily Wright and James Allsup, but the fact of the matter is that they are essentially all right-wing party members. Tony Dinaro: Ozzie's the one Republican I always vote for. Dennis Lunstroth: As long as he continues to hold his deputies responsible for their behavior he's gonna get my vote regardless of the R or D after his name. It's not about that, it's about performance and integrity. 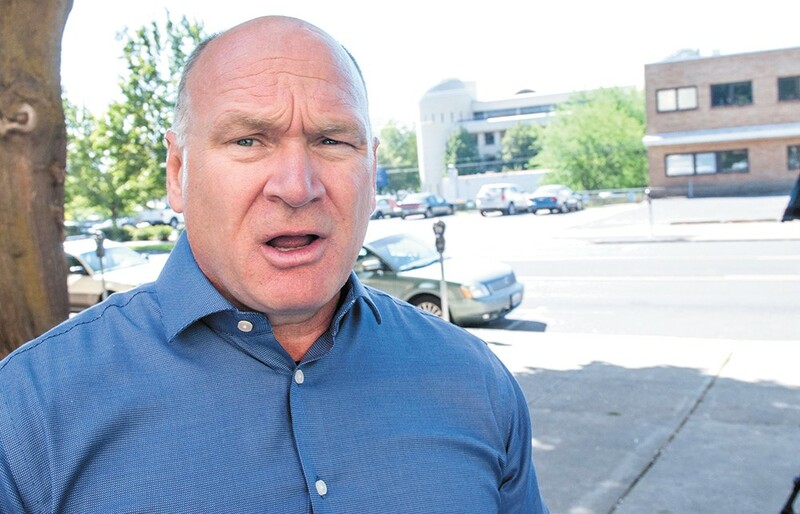 Char Smith: Spokane: "We are a real city, and we demand to be taken seriously!" Also Spokane: "Don't you dare touch our dog park to help ease overcrowding in our schools." Pick one, folks. Diana Cabana: Are we gonna prioritize children or dogs? Don't get me wrong, I adore dogs, but our schools have a serious overcrowding problem. This land is better used for a school, with a replacement dog park created somewhere else. Steve Dunn: South Hill whiners. Most neighborhoods in Spokane don't have dog parks!